Preheat your George Foreman® grill. Whisk egg, orange juice, zest and vanilla in a medium bowl. Place both slices of bread in bowl and saturate. 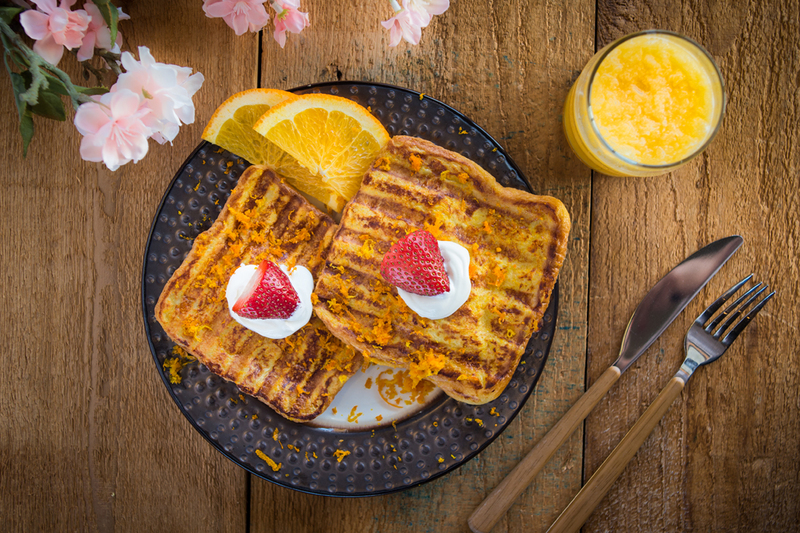 Grill French toast and enjoy with yogurt topped with fresh strawberries. For the Evolve grill, preheat to 375° and cook for 2 minutes. For the Indoor/Outdoor grill preheat to setting 3 and cook for 2 minutes per side.